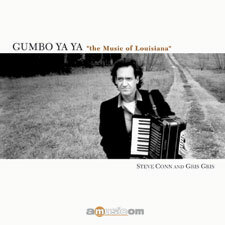 In backwater Cajun towns where boats glide past alligators in search of crawfish for the gumbo pot, accordion master Steve Conn apprenticed with the finest of the squeeze box maestros. He renders every mood with legendary skill - from the rhythms of a wild Louisiana dance to sweet melodies of seduction. Experience the magical music of Louisiana with hot Cajun flavor.